I was suprised to read in The Art of Parenting Twins that some people take the "evil twin" myth a little too seriously. I have heard many times since on our counseling services from mothers who believed that all twins are like Esau and Jacob, one "bad" and one "good." So that's where it comes from! I was confused; I guess that's my fault from getting my theology from Star Trek. 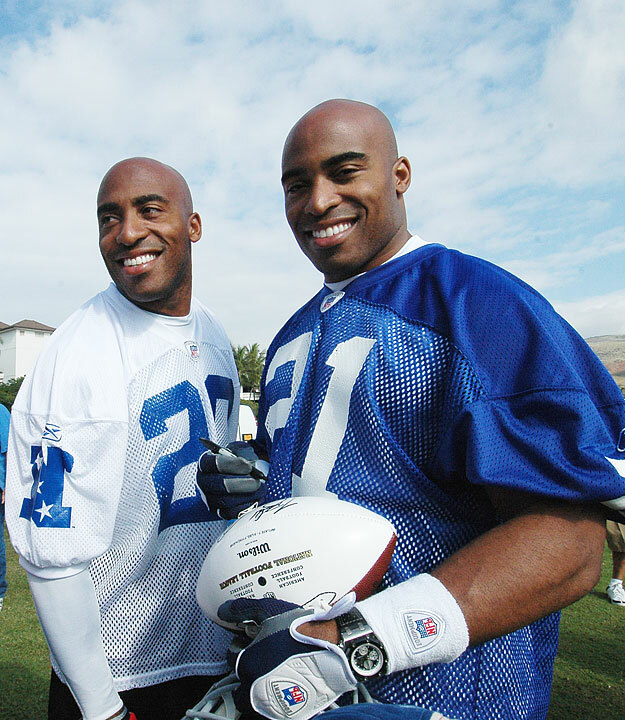 On the other hand, Tiki Barber shows another way to tell which twin is the evil one. "Oh, you thought you sneaked under the radar this week, didn't you Tiki? No. You left your wife when she was eight months pregnant with twins Women see that as leaving your wife when she is 16 months pregnant. We don't care for it."